Lecturer(s) or Responsible(s): Maria Judite Alves (coordinator, MUHNAC/ cE3c), Raquel Barata (MUHNAC), Cristiane Bastos-Silveira (MUHNAC), Alexandra Cartaxana (MUHNAC), Teresa Catry (MUHNAC/CESAM), Luís Ceríaco (MUHNAC), Ana Isabel Correia (MUHNAC/ cE3c), César Garcia (MUHNAC/cE3c), José Pedro Granadeiro (FCUL/CESAM), Luís Filipe Lopes (MUHNAC/ cE3c), Paulo Marques (MUHNAC/ISPA), Gabriel Martins (IGC), Cecília Sérgio (MUHNAC/ cE3c), Manuela Sim-Sim (MUHNAC/ cE3c). 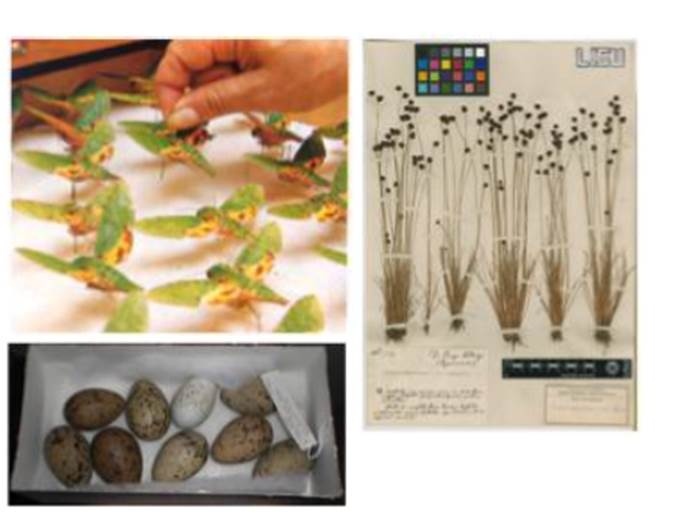 Natural history museums are privileged spaces for seminal research on different subjects of biological sciences such as biodiversity, evolution, ecology, biogeography and taxonomy. This crucial role is due to the fact that they represent biological diversity repositories becoming huge libraries of information on Earth living organisms. The long-term sampling through various decades renders tonatural history collections an historic perspective that allows reconstructing a “memory”, sometimes secular, of natural patterns and processes. This aspect gains particular relevance nowadays because of the increasing rate of species extinctions and biodiversity decrease. 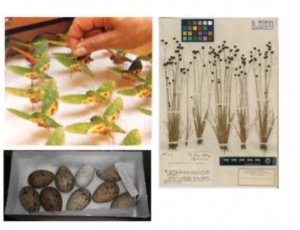 - To evidence the importance of natural history collections for the study of biodiversity. 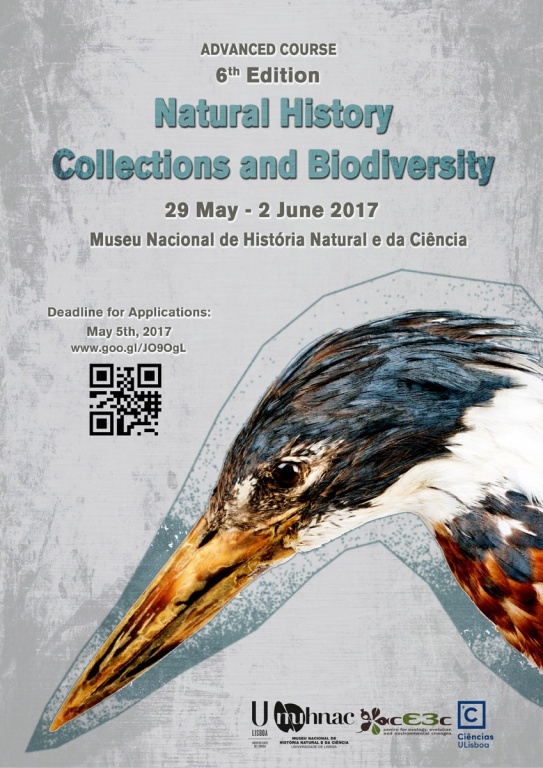 - To increase awarene of young researchers for the scientific and culture value of Natural History Museums. This course has a recognition of 6 ECTs for FCUL PhD students enrolling in it as part of their first doctoral year. For FCUL PhD students only requiring 5 ECTs in their specific PhD programmes, the last 6 hours of the course are not mandatory and the certificate will be on 'Topics in Natural History Collections and Biodiversity’. Directed to: PhD or MSc students in Biology, Evolution, Ecology or related areas, and postdocs and other professionals working in related topics. When the maximum number of students is reached 8 vacancies will be available for non-paying 1st year PhD students mentioned above, being, by order of preference: 1) cE3c students; 2) BIODIV students (not from cE3c); 3) FCUL students (not from cE3c); 4) BEAG students (not from FCUL).